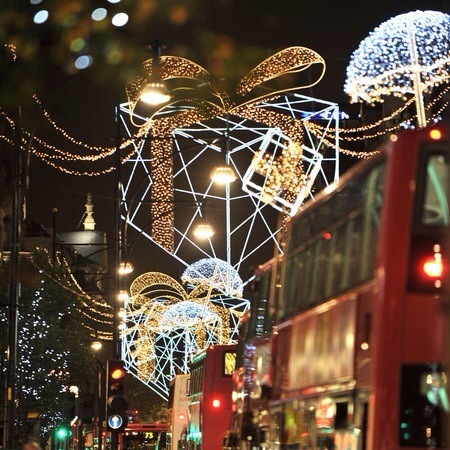 If your heading to London in the next 6 weeks , here’s a round up of a few things, us Londoners like to get up to over the festive period. 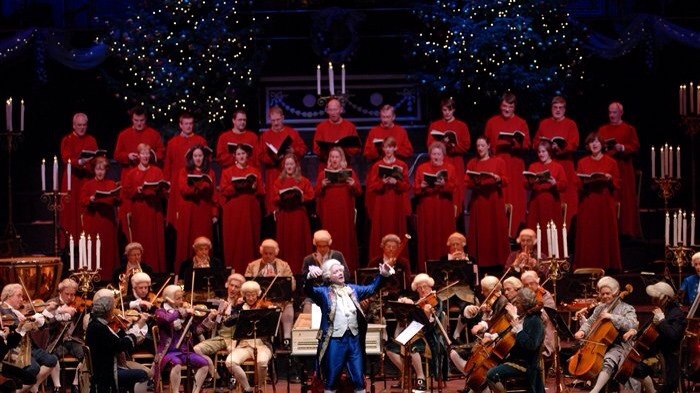 So ditch the tourist trail, and come and experience Christmas like a local. 52 from Grosvenor Place to Knightsbridge. 10 or 73 from Knightsbridge, up Park Lane, along Oxford Street, get off at Oxford Circus.3, 88, 159 or 453 from Oxford Circus down Regent Street. Kids will be spoilt for choice at Hyde Park’s annual Winter Wonderland, which includes a giant observation wheel, Zippo’s Christmas Circus and the capital’s biggest ice rink. 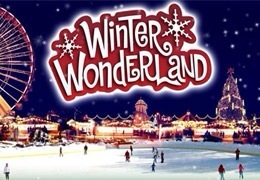 As well a Santa Land, with rides, games and food stalls. Where kids can meet Father Christmas then jump on board the Santa Express. Entrance is free, but you’ll need to buy tokens for the rides. 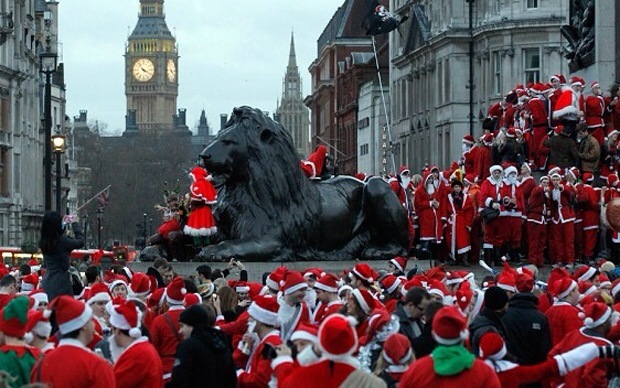 SantaCon is on the 6th December, it involves a gang of Santas running around London, singing carols, giving out gifts, and encouraging strangers to sit on their laps. Why ? Well just like the real Santa, they want to celebrate Christmas and spread some festive cheer. Anyone can take part as long as they follow the 3 rules for participating All Santas must a) be jolly b) wear a Santa suit, and c) don’t get arrested. The meeting point and route is top secret and won’t be announced until. 24 hours in advance, so keep an eye on the website http://www.santacon.co.uk/ and make that appointment at the fancy dress shop now. 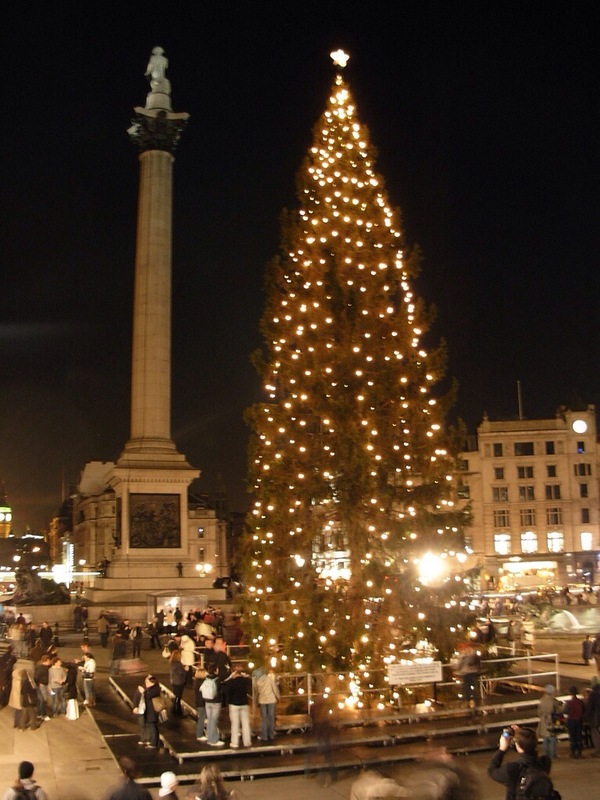 The Trafalgar Square Christmas tree, is a donated by the city of Oslo each year since 1947, In gratitude for our support during the second world war. 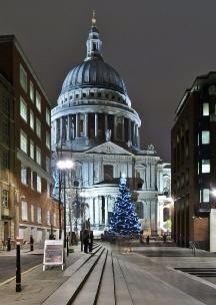 The tree is on display in Trafalgar Square from the beginning of December until 6 January. 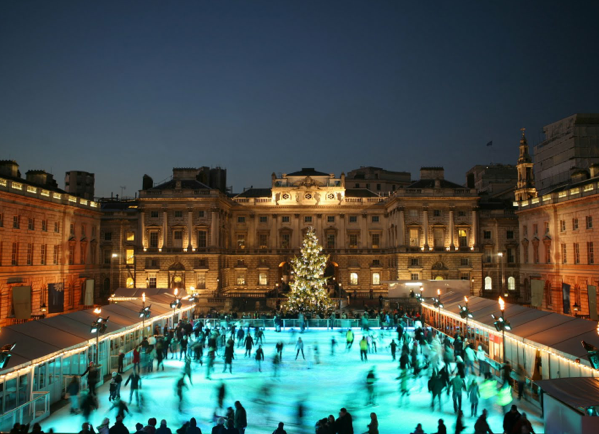 Nothing feels like Christmas more than skating in open air, at an iconic London location. Choose from Hampton Court Palace, Somerset House or The National History Museum. Its also compulsory to have a post skate hot chocolate. 8. Grab a meaty bargain for Christmas dinner at the Christmas Eve Meat Auction. 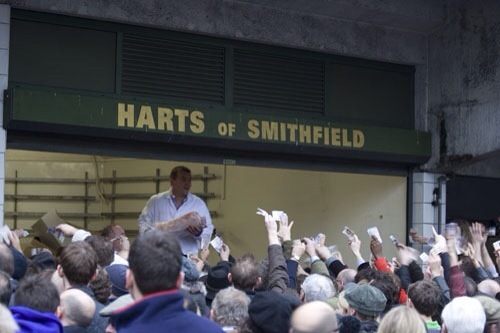 London butchers Harts of Smithfield, have held their annual Christmas Eve meat auction for the last 30 years, everything’s got to go , so get a wad of cash, a sturdy bag and be prepared for a load of yelling to secure that bargain turkey. It starts promptly10am, but for a prime spot in the auctioneers eyeline get there early. 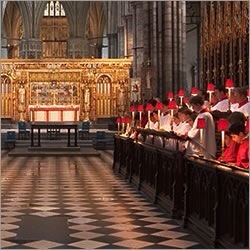 Christmas isn’t just about the presents, for the true meaning of Christmas head to St Paul’s Cathedral for their Christmas Day service. For the early birds there’s a service at 8 am, or if you fancy a lie in head on down for the 3.15 pm service. But there’s no public transport, so you’ll have to beg,borrow or steal a lift to get there.